Hi everyone and welcome to Top 10 Tuesday hosted by The Broke and the Bookish! We are on single digit days until baby girl’s arrival. So I am trying to stay busy but also am so anxious I can barely do anything! We can’t wait to meet her! This week’s theme is Top Ten Series I’ve Been Meaning To Start But Haven’t. Honestly, I’m a fan of great book series so I have read a lot of the most popular series. And sometimes the later books are just disappointing. So I decided to do a little twist on the topic and share some of the series that I have only read the first book. Hope you enjoy my list of book series I have only read the first novel. The Maze Runner by James Dashner // Honestly, I wasn’t super impressed by this book, despite all the hype. Perhaps someday I will be more invested and want to continue it. Gilead by Marilynne Robinson // I read the first novel as part of a book club a few years ago and was blown away by this Pulitzer Prize winner. I do hope to read the others in the series one day. The Kane Chronicles by Rick Riordan // I loved Riordan’s Percy Jackson series. And I’ve only read the first one in this series because the others weren’t published yet! I recently learned there are several books now and I would love to read more of them. His Dark Materials by Philip Pullman // I read The Golden Compass years ago and remember really enjoying it. I own the full series but I haven’t gotten to them yet. Ender’s Saga by Orson Scott Card // I love Ender’s Game and have read it several times. But I haven’t ever continued in the series. I think I have to be in the right mood for serious science fiction. Matched by Ally Condie // I read this book a few years ago and didn’t enjoy it as much as I thought I would. I haven’t had any interest in continuing the series. The Inheritance Cycle by Christopher Paolini /// I read Eragon a few years ago because I heard good things about it. But the writing was juvenile and the story didn’t resonate with me. No interest in continuing right now. To All the Boys I’ve Loved Before by Jenny Han // I read the first book last year and enjoyed it. But I guess I haven’t been in a mood for the others yet. A Wrinkle in Time Quintet by Madeleine L’Engle // I read the first book in this series in elementary school and lately I’ve been wanting to revisit it. I guess I will decide afterwards if I continue with the series. Books of Ember by Jeanne DuPrau // I only just read The City of Ember a few months ago. But I think it works well as a stand alone novel. I would worry that more complicated plots would lose the strength of the story. Bonus: Anne of Green Gables Series by L. M. Montgomery // A list like this would be incomplete without a mention of the #AnneReadAlong2017 that I am co-hosting with the lovely Jackie over at Death by Tsundoku. 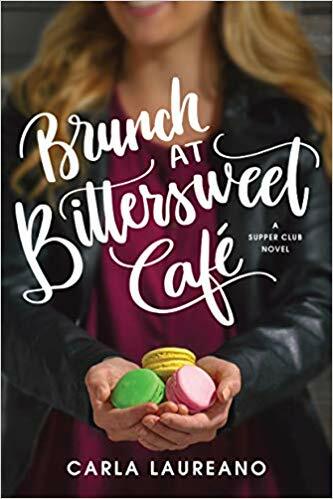 I haven’t ever finished this series before and am loving reading the full series! We are always up for more participants. Come and enjoy Anne with us! What series have you started but not finished? Haha, I better stop with The Maze Runner. I was pretty unimpressed actually. You should finish the His Dark Materials series (Golden Compass etc. ), especially as there is an ‘equel’ coming out later this year (The Book of Dust), which is both prequel and sequel. Ohhh I’m intrigued by this ‘equel’ book. Sounds fascinating. I will have to bump these up on my TBR! In my opinion, A Wrinkle in Time and its sequel are the best of the quintet. The others are ok but not as compelling as the first two. I really need to reread A Wrinkle in Time! I don’t remember a thing about it! I have heard that about the quintet in general. I’m glad you said Gilead was good, I’m reading it later this summer! I’ve only read the first Kane Chronicles book too – I have to get back to it! I feel like it was the only one for so long and suddenly there are like 3! I should probably reread it to remember the details. So many books, so little time! This is BRILLIANT. I totally want to steal this idea for a future post. There are many series which I have left incomplete because I felt “meh” about it, others because I didn’t want to ruin a good thing (The Giver, I’m looking at you!! ), and others where I read the first book before the rest were published. I have learned from my mistakes in that last category. I totally agree about stopping Ender’s Game and A Wrinkle In Time. I’ve read the second book in both series, and it would have been better left alone. I did read all of Paulini’s quartet. I enjoyed it as a teen, but… I was disappointed in how it ended. So again I applaud you. You make good life choices. 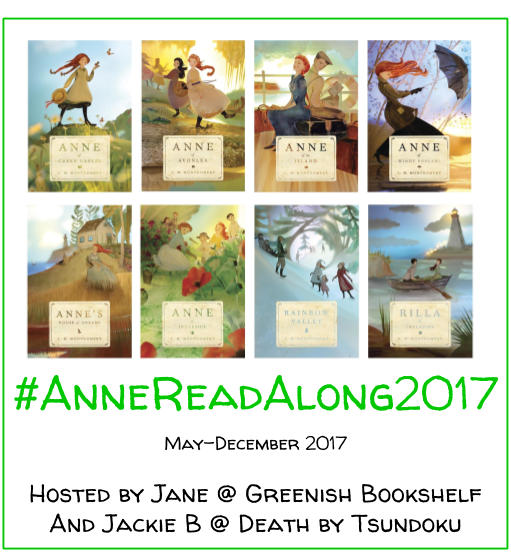 I also love the shout out for #AnneReadAlong2017 ! How many series and I just in the middle of currently reading? So many. Love you, Anne Shirley. Thanks so much, Jackie! I had an epiphany about it yesterday 🙂 I am totally like that with series that I don’t want to ruin–I LOVE The Giver. I forgot it was part of a series, actually. Glad to hear I’m not missing much with Enders Game and A Wrinkle in Time. Although I need to reread AWIT–I seriously remember nothing about it! I can see Paulini’s books being better for a younger audience (my 16 year old brother in law LOVES them). A disappointing ending to a series is a big pet peeve of mine. Phew, glad I dodged a bullet there! I’m so bad on following up with Riordan’s series’, I still want to read Magnus Chase though. I’ve only read Maze Runner as well. Sigh, I want more standalone’s. Haha. That is so true! Sometimes I am surprised to learn it is a part of a series. I am 23 and have enjoyed the four I have read so far, but then again I am still young at heart.